The face of a soldier, P-74. The Woolsey Fire burned through southern California for nearly three weeks, torching nearly 100,000 acres and destroying 1,500 structures in its path. It’s finally contained since last week, but officials are just beginning to survey the damage. Part of that includes cataloging the region’s wildlife. 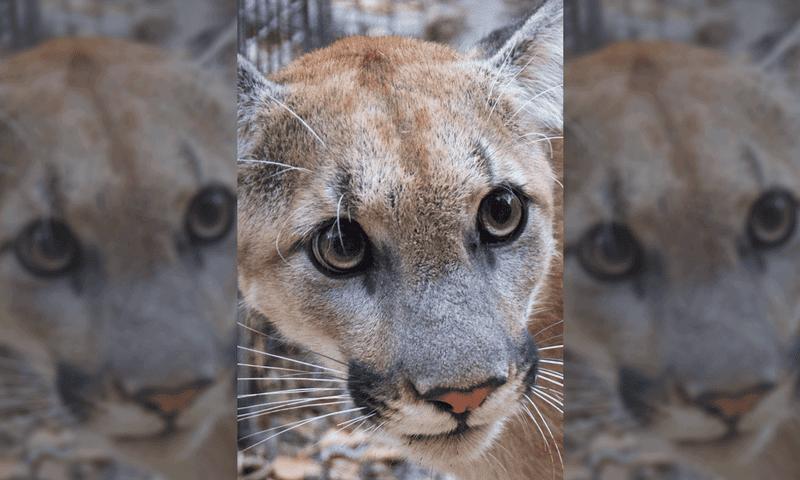 Unfortunately, one beloved young mountain lion, P-74, is believed dead after the fire tore through the Santa Monica Mountains. The National Park Service made an announcement that P-74 “likely did not survive” the fire on Monday. The service hasn’t heard a sound from his GPS collar since November 9, the tragic day seemingly all of California was on fire. Biologists searched on foot for him, too, but they found no sign. He’s the only one of nine collared mountain lions in the region that officials haven’t been able to find, reports the Los Angeles Daily News. The one-and-a-half year old was still likely dependent on his mother, as he was seen with her as recently as October, but there’s no way the service can know for sure because she doesn’t have a GPS collar. This is sad news as Los Angeles is one of only two metropolitans in the world that have pumas within city limits, per the NPS. More than 50 mountain lions have been tracked in this region with 10 to 15 currently living there, but the population’s survival is at risk due to habitat fragmentation and lack of genetic diversity. Wildfires aren’t usually a threat to this intelligent feline, per the Daily News. The problem now will be how much habitat these creatures have lost to the Woolsey Fire—and all others that are to come in our warming world. P-74 is one of the most recent additions to the Park Service’s roster of mountain lion community. He was discovered in September. Luckily, there are more babies hiding in the mountains: four kittens were born in July. They’re still presumed alive, and a group of bobcats made it too. Sadly, the same can’t be said for this little lion. RIP, P-74.